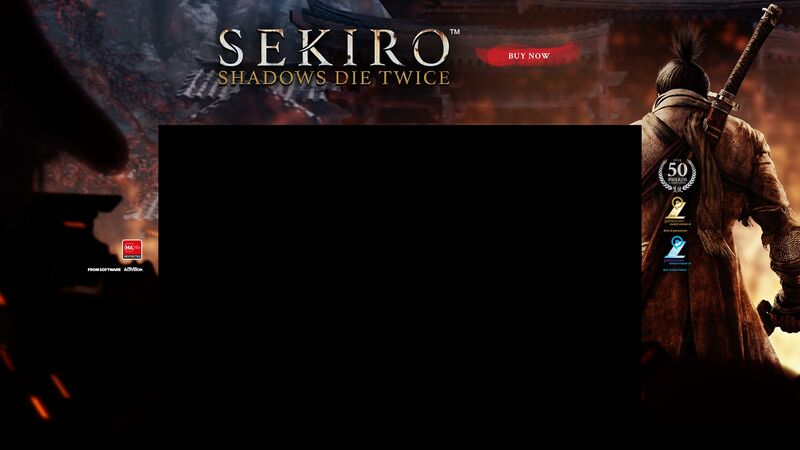 Those who have experience with developer FromSoftware know precisely what to expect when it comes to Sekiro: Shadows Die Twice. The developer is notorious for developing hard-hitting and, at times, near impossible games that will challenge you from the tutorial all the way through to the final boss. Thanks to Activision for providing a copy of Sekiro: Shadows Die Twice that consumed our entire weekend, we were ready for intricate level design, incredible scenery, and challenging boss fights. What we weren't ready for was the moral compass Dragon Rot invokes. Dragon Rot is the repercussion for reviving yourself mid-battle, and it will slowly impact your entire village. If you die more than a few times in the first couple of hours, and you will, you'll see a cutscene that shows the sculptor from your village getting ill. This is when the game realizes you're not having an easy time getting through the stages, so it decides to make it a tiny bit more difficult. Dragon rot is the disease that inflicts Sekiro and the wider village as a punishment for resurrecting too often. You will be infected with Rot Essence, an item that can be found under "key items" in your inventory. Each Rot Essence will have a name associated with it. That name will refer to the NPC that has been infected with the disease and needs to be cured. Rot essence impacts Unseen Aid. Unseen Aid allows you to resurrect with health and money. The more Rot Essence, the less Unseen Aid percentage you will have. Your Unseen Aid percentage can be tracked in the equipment screen through the pause menu. How do you know Dragon Rot has begun to impact you or your village? After you've died a few times, a cutscene will reveal that the sculptor in your village is getting sick. Following the cutscene, you will find Emma the Physician tending to the illness and trying to find a cure for the Dragon Rot disease. After conversing with Emma, she will ask for your help to find a cure for Dragon Rot, and you will be asked to find a blood sample of someone infected. This will require you to pay closer attention to NPCs than you normally might in an action-adventure game. Once you have the blood sample in your inventory, deliver it to Emma, and she will reward you with two items; A Recovery Charm and a Dragon's Blood Droplet. You can use these items at any Sculptor's Idol to reset the effects of Dragon Rot. Just because there is a cure, however, doesn't mean that you can resurrect whenever you want. We're unsure just how much of an impact it can have on your overall gameplay, but it is certainly worth thinking twice before bringing yourself back to life. It's clear that once an NPC has died from Dragon Rot, their questlines are no longer available in the game. Additionally, FromSoftware only put a limited number of Dragon's Blood Droplets in the game so you must use them sparingly. It is almost always worth restarting the level again and learning from your mistakes, like a true ninja. Where can you find more Dragon's Blood droplets? Most vendors will have them for sale for 180 SEN. Make sure you pick them up when you can as you never know when they may be needed. They do respawn at the main village vendors from time to time, so it's always worth checking back. Special mobs have a small percentage to drop the Droplets as loot, and they can also be found when exploring the map. So if it looks like you could grapple to a tree, it is certainly worth trying. Will Sekiro: Shadows Die Twice take home any awards this year? It would be a disappointment if it didn't. It may lack the memes other titles develop, but that doesn't mean this game will not have a cult following. 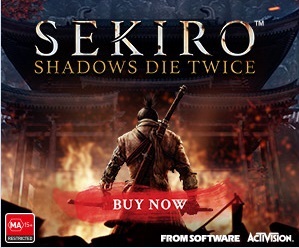 FromSoftware has clearly focused on difficult gameplay and a skill arc that is second to none. Speedrunners and no-hit runners will have a long, tough time in Sekiro. We may even see new challenges come to life such as "No Rot Essence" runs and "No Dragon's Blood Droplet" runs. FromSoftware has certainly set a new benchmark in the action-adventure category that we did not know we needed.